We were mentioned in an article on Martha Stewart Weddings! We have been blessed, again, to have been mentioned in an article on Martha Stewart Weddings.com! Thank you, Jenn Sinrich!! Don’t let illness ruin the fun. Ever become overwhelmed with worry when you think about all of the big and little things about your wedding day that you need to go right? It’s totally normal to freak out—you’re planning a huge event and a day that will hold immense meaning for you, your fiancé and your families. Of course, like anything in life, nothing is perfect and your wedding won’t be either. But that’s okay! Even illness is inevitable, especially during cold and flu season, so it’s smart to be prepared for anything and have more than one person that you can go to for support. If you’re worried about getting sick—or someone important getting sick—before or at your wedding, here are some doable lines of defense. Hire a wedding planner at the beginning of your planning journey. 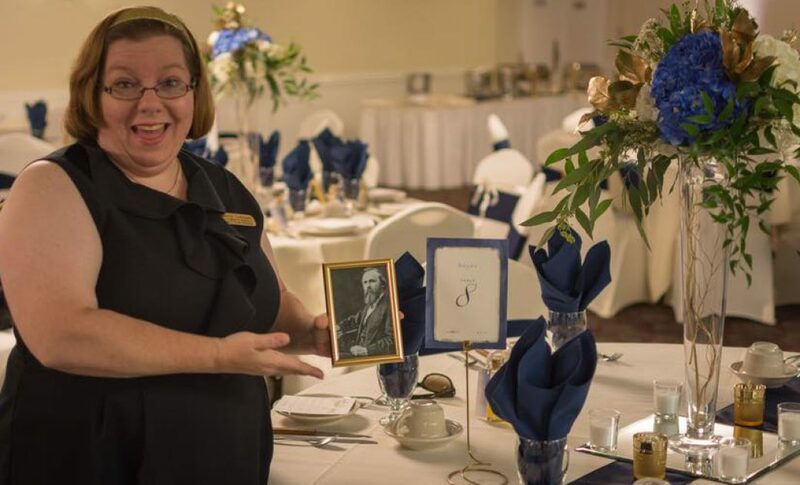 “A planner will be able to step in and take care of any last-minute crisis, whether it’s a few weeks before or on the ‘day of’ to ensure you have a special and memorable day you feeling like your day was ruined,” says Deborah L. Erb, owner and event planner at Simply Events Inc. “Planners also carry emergency kits with them in case someone needs pain reliever, something for an upset stomach or first aid kit.” They can also run out to get you anything else you need from a local pharmacy to help you and your loved ones get through the day! Take care of yourself in the best way possible. Planning a wedding is a stressful time—not only for the bride and groom, but also for those participating in the planning process, such as your parents, siblings, and wedding party. A month or so before the wedding, email or call as many of those important people as you can and remind them to take preventative steps to stay healthy in the weeks leading up to your wedding. “Eat well, stay hydrated, get your rest (eight hours each night!) and allow yourself some time to relax,” says Erb. “Heading into wedding week, your body and mind will feel so many emotions—excitement, anxiety, stress, and nervousness,” says Lindsey Sachs, a wedding planner and owner of COLLECTIVE/by Sachs in Boulder, Colorado, and Minneapolis. “Take a moment early in the week to do a self-health check to monitor possible symptoms that could grow into sickness.” Remember: The sooner you can recognize these symptoms, the sooner you can begin to treat them. Get checked out by your doctor. Even if you’re feeling slightly under the weather, it’s important to listen to what your body is trying to tell you and seek out medical assistance. “Explain that you have a big day coming up and you need to be able to get through it and hopefully feeling well,” says Erb. Keep your family and friends informed on your progress. If you are not feeling well—or a wedding VIP is not feeling well—let the other important members of the wedding party know. “Everyone will pitch in to assist as much as possible, to make sure the wedding day goes smoothly or to rearrange and reschedule plans as needed,” says Lehman. “Delegate duties and errands to your wedding party and family members.” If you’ve hired a wedding planner or coordinator, they can also assist in contacting vendors, wedding party members and guests and updating important information regarding the wedding. “We are here to help you,” Lehman adds. Sachs urges not to let your mind focus on the negative outcomes of being sick the week of the wedding. “The sickness of a wedding VIP can create unnecessary focus and attention away from the wedding as a result,” she says. “The marriage is what you want to remember and not who was sick.” Use the power of positive thinking to your benefit and breathe, think optimistically and hope for the best! Have a “plan B” in place. If a parent is sick, think of other people in advance that could step in for them last-minute if necessary, suggests Erb. Otherwise, come up with options to make it easier for them to “carry out their duties,” and rest in between or always have a chair to sit on. “Seek out someone that you trust to care for the one who is ill, so everyone can get through the day,” Erb says.